Fisher Group, LLC | Master Bathroom: The Final Design!Fisher Group, LLC | Master Bathroom: The Final Design! 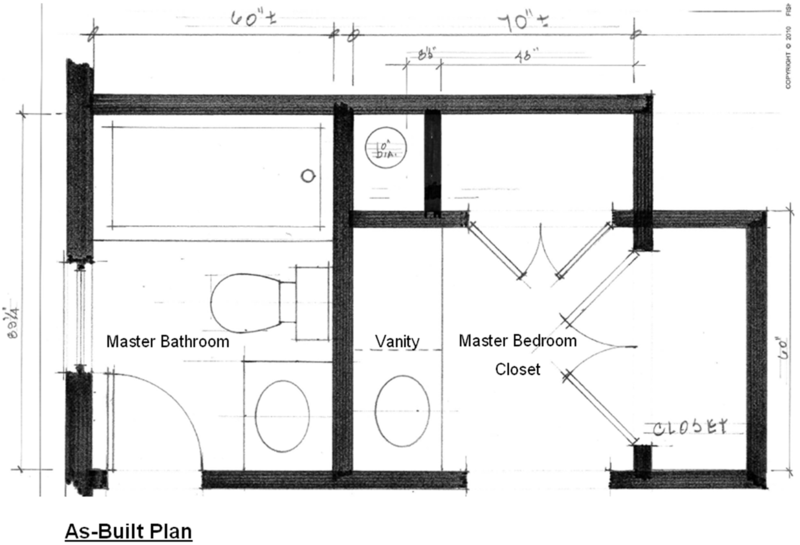 Master Bathroom: The Final Design! 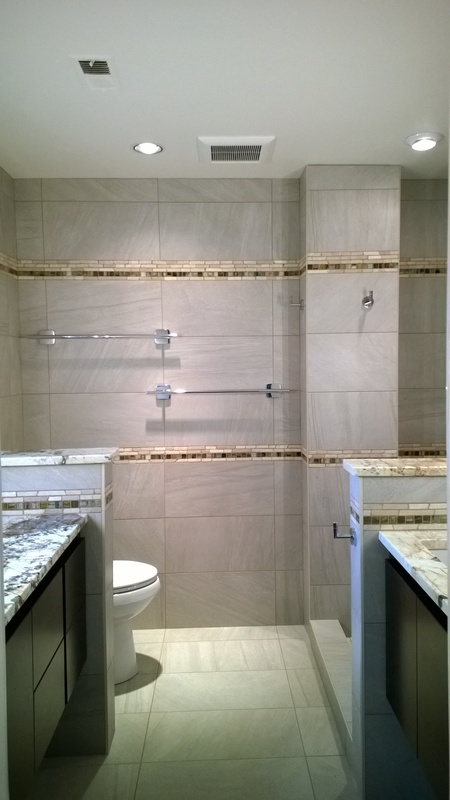 The story of a master bathroom continued… Find out which final design our clients selected! Our clients were not moving after all! 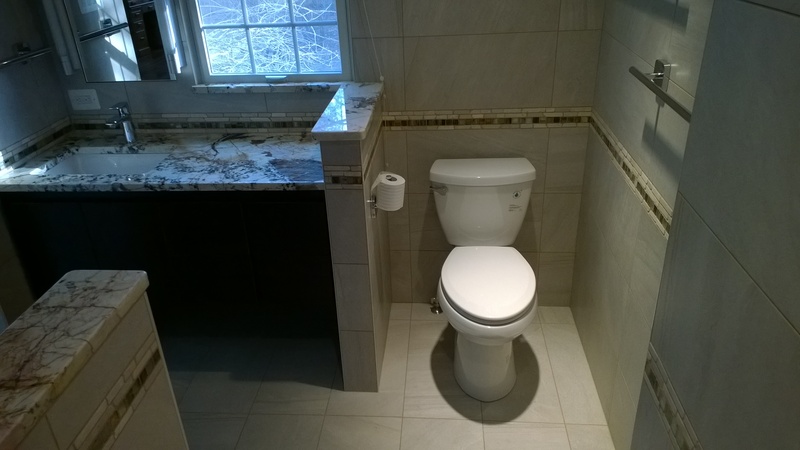 AND…they wanted to increase their budget to design the master bathroom of their dreams! 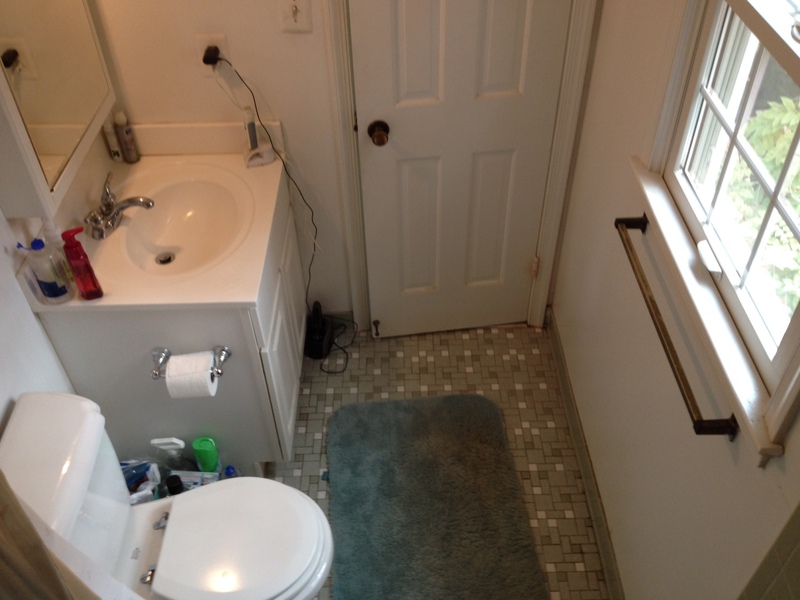 Original to the 1970’s home, the master bathroom had limited countertop space as well as little room for towel bars, robe hooks and wall sconces. 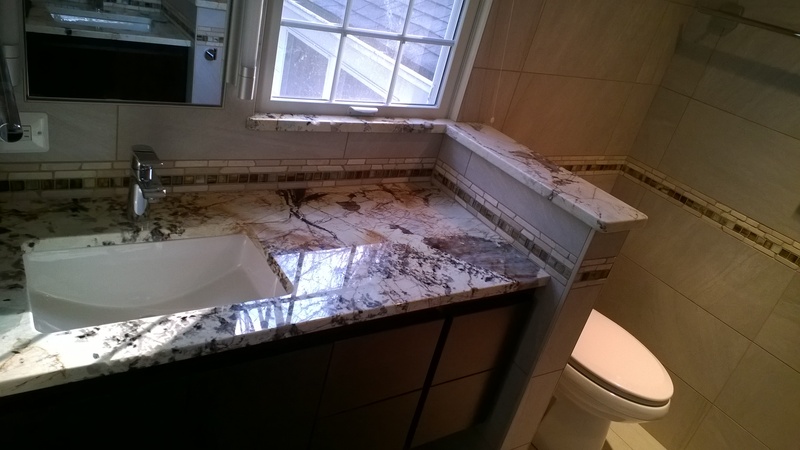 While the space we had to work with was limited, we were determined to create a master bathroom that met our clients’ expectations in every way. A. Two floating vanities with plenty of storage. 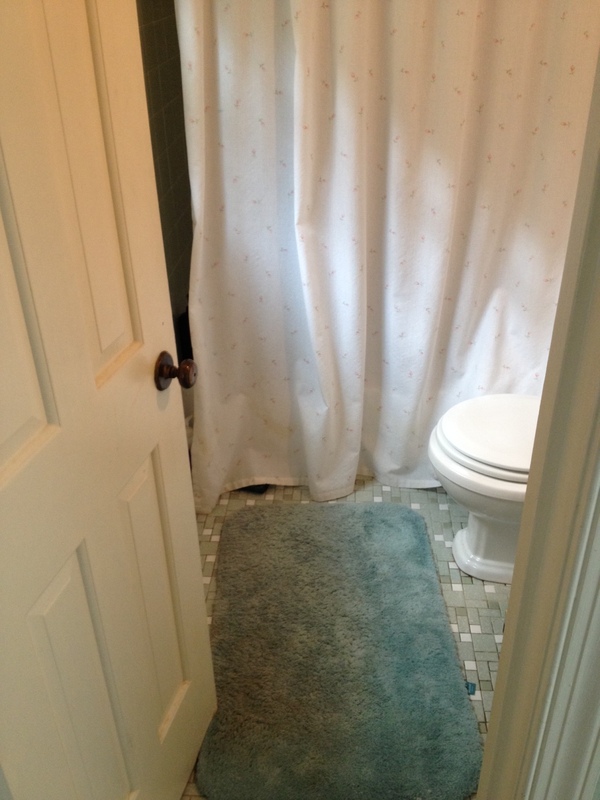 B. Relocation of toilet to increase usable space throughout bathroom. 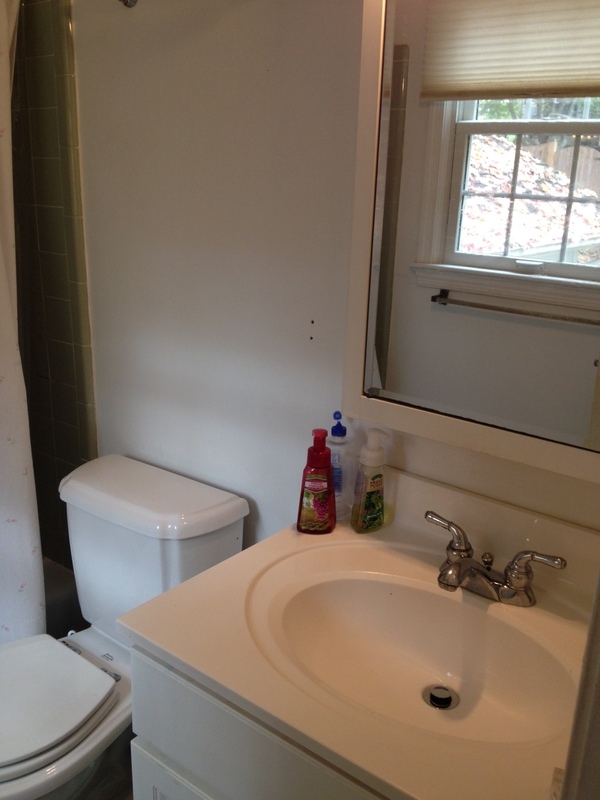 C. Two half walls – one between the toilet and vanity no. 1 and another between the shower and vanity no. 2. 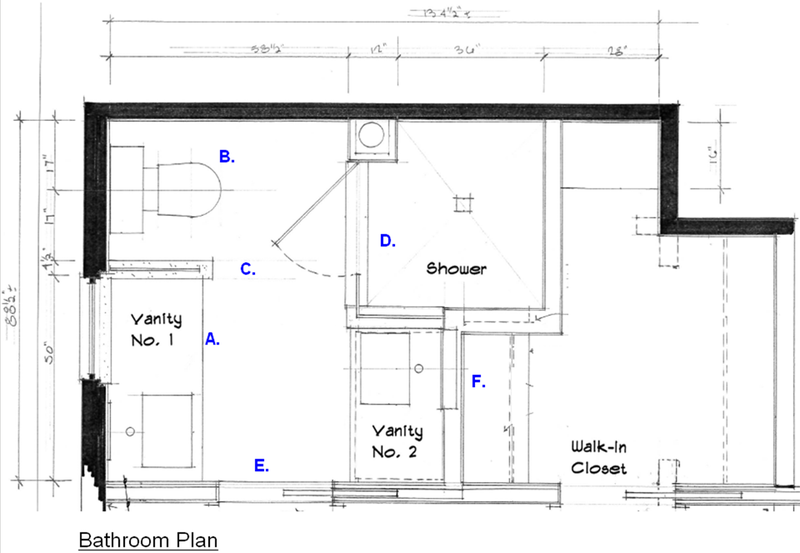 This increased privacy between the vanities and shower/toilet areas while maintaining an open feeling within the space. 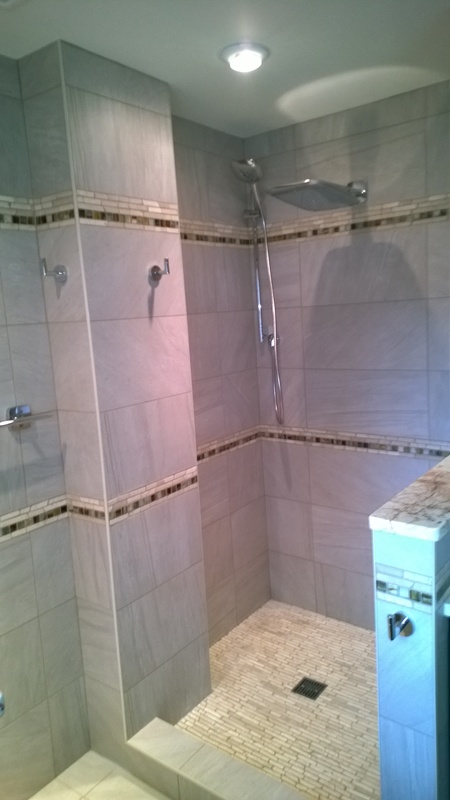 D. A significantly larger shower – large enough for two. Shower also included a “Rain Head” shower head. E. Pocket door – for increased function within the space. F. Reconfigured walk-in closet. Additional shelving increased storage and function. Relocating the bathroom/closet wall a bit more into the closet space increased the master bathroom footprint. Please note: Photos below were taken with an iPhone. The real appearance will show better after our photographer lights the space when he photographs it. We want to hear from you! Share your thoughts with us on Facebook or Twitter!